(CNS): As the Chamber of Commerce gears up for its 13th annual Earth Day Roadside Clean-Up this Saturday, 17 April, it also paid tribute to the growing number of green initiatives among its membership. From Caybrew’s recycled bottles to Mail Boxes Etc that uses environmentally-friendly cardboard and recycled packing materials the chamber said it was proud of members who made an effort. While more than 1300 people have signed on for Saturday’s clean up others are going green everyday.Still a hugely important event in the year the chamber said it was pleased so many members had taken the earthday clean-up project to heart. As an additional salute to Earth day Pineau also pointed out that there are a growing number of local firms who do their bit for the earth every day. Mail Boxes Etc. uses environmentally-friendly cardboard and recycled packing materials such as crushed craft paper and shredded paper. They also re-use plastics such as air-cushions and foam packing peanuts. Their particular packaging techniques prevent unnecessary waste and promote the efficient use of packing materials while ensuring the integrity of the contents, the chamber explained. Meanwhile Cartridge Smart helps you recycle your printer cartridges and save up to 50% on your cartridge costs. Buying fewer cartridges means less plastic in the land fill too. Phoenix Construction has for many years been working with innovative products but when Fosters Food Fair came to them wanting an energy cost cutting solution to their new Savannah supermarket they had just the product. Using acrylic stucco paneling and insulating expanded polystyrene they managed a 20 -25 % reduction in energy consumption and cost over a period of a year. Cayman Automotive Leasing, Marketing & Sales, Ltd. is the first and only company in the Caribbean selling electric vehicles. These eco-friendly vehicles do not pollute the air and reduce the carbon footprint on our Island. They will soon announce the first solar panel charging station which will represent the next first in the Cayman Islands. Cayman Brewing Company is the only company that recycles bottles in the Cayman Islands and they also offer a $2 return on every case! In addition to bottles they also recycle their water from the brewing process and use it for irrigation, and give their spent grain to farmers for feed for their livestock. This forward thinking company is also starting a policy of returnable beer crates that will keep these big lumps of plastic out of the dump. Home automation is often associated with luxury living but it can also reduce your energy consumption drastically. I-Systems who specialize in home automation says that installing one Vantage Dimmer in every home in the U.S. would save $230 million in electricity per year and reduce CO2 emissions by 4.3 billion pounds a year – the equivalent of taking 370,000 cars off the road. The clean up starts at 7am and all participants will be provided with latex gloves and garbage bags and the Department of Environmental Health has asked that all full bags are left on the side of a main road for collection. The first 1000 people who signed up receive a free limited edition T-shirt sponsored by BritCay Insurance and everyone is invited to a brunch at 10 am at Public Beach with LIME picking up the tab. (CNS): Residents who make their homes safe with the use of monitored security systems will finally be rewarded with lower insurance premiums through one local bank. Efforts by Fidelity Bank (Cayman) Ltd to co-ordinate two of the islands’ security services suppliers and a number of insurance providers have resulted in a new insurance package with cheaper rates. Customers who lower their risk from break-ins burglaries and robberies by installing an alarm system will be offered premiums 10% below the usual rate and Fidelity customers will also receive between 5 and 20% discounts on the alarm systems they install. Launching the home owner security package at the bank’s new centre on West Bay Road on Wednesday (14 April), Richard Scrivens, Fidelity’s insurance executive, explained that customers who install a home security system with either Island Electronics or The Security Centre Ltd would receive a reduced premium on their home insurance in recognition of the lowered risk. As a result of the rising crime, he said, the aim of the new package was to try and prevent people from becoming victims of break-ins and burglaries but to ensure that they would be well covered if they were. Stuart Bostock, MD of The Security Centre, said that he was delighted that a financial institution had finally stepped up and made the first move to reward those people who took steps to lower their risk to crime with discounted rates. “We have been courting the insurance industry for many years now about offering discounted premiums to people who installed security systems but the sector has been reluctant to offer reductions to those home owners who have alarm systems and security precautions. It’s fantastic that Fidelity is finally offering customers this option,” he added. David Foster of Island Electronics agreed with Bostock and said it would offer an incentive for people to protect their property and enhance the awareness of electronic systems. “It is a tremendous upheaval to be burgled and hopefully this package will go some way to reduce the number of victims,” he said. Scrivens explained that the package was open to existing and new customer who wanted home insurance. It includes a free security review of their properties by one of the two participating security firms, which will then offer a tailor-made security solution to fit the customer’s property, security needs, budget and requirements of the policy. Once some form of monitored security system has been installed, the customer will received a discounted insurance rate, which can also be paid through an interest free instalment plan and no theft deductable in the event of a claim. Fidelity’s insurance executive also said the first 100 customers would receive a free portable personal alarm. “We wanted to provide an affordable solution to some of the current public concerns over personal and property protection, so we have teamed up with selected security company partners, Islands Electronics Limited and The Security Centre, to offer our customers discounts on home security alarm systems, and once installed a further discount on their Fidelity home-owner’s insurance,” Scrivens added. He explained that people with home security systems are four times less likely to be burgled. While insurance money could replace some items, he said it could not bring back unique personal items and family heirlooms as some things were just irreplaceable. The goal, he said, was to prevent customers’ homes becoming targets, not only that home security systems also enhanced property values. 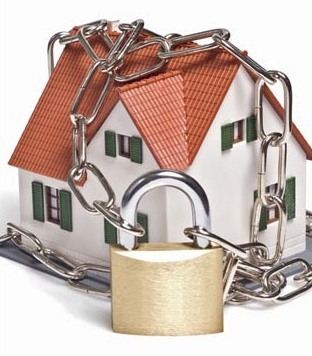 “Owning a home security system is the best defence against crime, fire and other safety hazards. We want to assist people to better protect themselves,” said Scrivens. It is common practice in other jurisdictions for home owners who take precautions to protect their home from crime to have lower rates as it is now widely accepted that while alarm systems cannot prevent crime altogether they can lower the risk significantly. (CNS): The Cayman Islands Tourism Association (CITA) Watersports Committee has said that it is again coordinating the Earth Day Reef Watch Survey on 24 April in partnership with the Department of Environment. Described as a fun but scientifically useful event that residents and visitors alike can get involved in, divers and snorkelers are being asked to fill out surveys about the marine life they see during their dives. The DOE will then compile the results and enter them into its database of Reef Watch Results stretching back from 1997. Last year’s survey was adapted to include Lionfish sightings, which will continue this year, CITA said. Lionfish are an Indo-Pacific species which have invaded Cayman waters. They eat large quantities of juvenile fish and invertebrates but have no predators themselves because of their venomous spines. Lionfish can inflict a painful wound if handled, so the Department of Environment cautions survey participants not to approach a Lionfish if one is sighted and to alert a divemaster, who will report it to the DoE for removal. Some dive operators are offering participants returning a completed survey a free Earth Day T-shirt while supplies last. Many of the operators offer a free tank for shore diving or a free one-tank boat dive, depending on availability, for divers participating in the Reef Watch Survey and/or free snorkelling gear for participants, so contact the individual operator to find out what is on offer. Participating shops, included Divetech, Don Fosters Dive, Eden Rock Diving Centre, Ocean Frontiers, Red Sail Sports and Pirates Point on Little Cayman. Meanwhile, on shore people can still get involved in Earthweek activities by joining in the ironshore and beach clean ups. 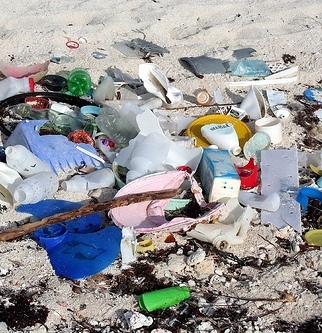 Ocean Frontiers will be conducting a clean up in East End Beach as well as a Reef Watch snorkel. Beach clean up will take place in the morning of Saturday, 24 April. Earth day participants will be taken by boat to snorkel inside the East End reef and given Reef Watch surveys to complete afterward. Call 947-7500 for details and to reserve space on the boat. The Central Caribbean Marine Institute will be doing a clean up with Cayman International School and Montessori By the Sea, as part of the Marine Ecology Courses they are doing this week/weekend. Also, CCMI has released its latest Green Guide, which is now in all the major supermarkets, in support of the Earth Week activities. Divetech & Cobalt Coast will be doing an underwater clean up 24 April and Pirates Point Resort on Little Cayman will be coordinates beach cleanups throughout the week of April 19 – 26. Red sail Sports is offering a free one-tank dive to do a reef clean up on Saturday 24 April. Check in at the Grand Cayman Beach Suites at 2:00 pm. Phone 949 8745 for reservation. (CNS): The potential risk to offshore financial centres now doing business in the world’s fastest-growing economies — China, India and Russia — will be highlighted by DC Page, Senior Vice President, Consulting and Investigations with US-based risk mitigation firm Andrews International at this year’s OffshoreAlert conference in Miami. With the aggressive stand against OFCs by the United States Page says there are tremendous opportunities in these new markets but it is important to do business with the right people. In 2007, India and China had the fastest-growing number of millionaires in the world, while Russia had the tenth biggest increase, according to the 2008 World Wealth Report compiled by the Capgemini consulting group and Merrill Lynch Wealth Management. In 2008, China overtook the United Kingdom in terms of countries with the most millionaires, with an estimated 413,000 such high net worth individuals, placing it behind the USA, Japan, and Germany. Many consider it to be only a matter of time before China claims the number one spot. He explained that Andrews International has seen requests for due diligence and investigations grow more on Chinese individuals and companies than any other country. “The inquiries range from due diligence checks for financial institutions in order to verify a Chinese national’s source of wealth to background screening of applicants for investor visas in the US," he added. Page will be among risk experts who will show financial service providers how to conduct due diligence and investigations in China, Russia, India and Latin America at The 8th Annual OffshoreAlert Financial Due Diligence Conference, in Association with Grant Thornton, which will take place at The Ritz-Carlton, South Beach on May 2-4, 2010. Our speakers will include investigators and intelligence-gatherers that live in Russia and India. The conference will focus on Offshore Financial Centres, Fraud & Asset Recovery, Money Laundering & Compliance, and Investigations & Intelligence and will be attended by more than 300 people from over 30 countries. 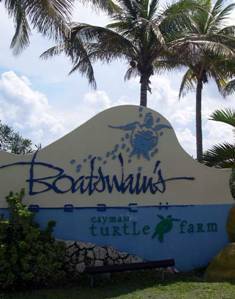 (CNS): Although the Cayman Turtle Farm has not stated the reasons, it will now close its doors to the public on Sundays unless there is a cruise ship in port. It is understood that the closure is as a result of the continuing losses sustained by the facility. Boatswain’s Beach said the park will be open as normal Monday through Saturday 8:00am – 4:30pm and on Fridays the Schooner’s Bar and Grill will remain open for Happy Fridays. Asking people to come visit, a statement from the farm listed its many facilities. Boatswain Beach receives millions of dollars in subsidies each year from government but continues to lose money. On taking up his position as the farm’s new Managing Director, Tim Adam immediately increased the cost of turtle meat to reflect the true cost of producing it. On 5 February Adam announced the new prices. “One of my first priorities after taking this job was to begin a process of closely examining every aspect of our operations to determine if they were being run efficiently and were commercially viable,” he said. The price of the turtle stew was increased from CI$5.40 per pound to CI$16 turtle steak from CI$9 to CI$27and menavelin from CI$4.00 to CI$12. Turtle bone was also increased from CI$2 to CI$6.00. The plans to formally change opening hours and close on Sundays have also been under discussion for some time and Sunday closing took effect from Easter weekend. (CNS): A memo from the Financial Secretary’s Office sent to senior civil servants yesterday reveals that most government departments and agencies have missed the deadline to submit their revised budget targets to the budget management unit. As the clock ticks on the time when government must bring the 2010/11 budget before the Legislative Assembly (30 April), the note, seen by CNS, from Kenneth Jefferson reveals that two thirds of government entities have failed to submit a revised budget plan and of the third that have made the deadline, none have actually met the reduction targets. CNS understands that Cabinet will be holding a meeting with all chief officers and chief financial officers today, Wednesday 14 April, to discuss the current status of their 2010/11 budget preparations and how they plan to meet the reductions as set out by Cabinet last month. The percentage expenditure-reduction targets sought by the Budget Management Unit were set out in a memo circulated on 30 March. The civil service was asked to reduce the over all HR costs by 8% and were given the target amounts the government wanted to spend on other operating expenses. The financial secretary said in the note that the senior staff would have to discuss where agencies are unable to meet the targets what is preventing them from doing so. He said they would also be expected to set out any significant consequences to the delivery of public services which could result from meeting theexpenditure-reduction targets. Given the budget deficit problems, Cabinet made a decision last month to present the administrative arm of government with a set target for its human resource budget of $219,000,000, some $19 million down on last year’s personnel costs. It also set out targets for consumables, transfer payments and other areas of government spending in order to reduce the 2010/11 budget to match expected revenue for the next fiscal year. Government, however, has not stipulated where cuts to services should be made but asked for efficiencies by the public sector and a reduction in personnel costs, namely salary and benefit cuts or a reduction in head counts to cut the salary bill. Last week the governor denied that this decision was a cop out by Cabinet and said the civil service management were the right people to decide where cost cuts could be made. The Civil Service Association (CICSA) has disagreed, however, and pointed out that if the political arm of government wants to reduce public spending on the one hand it cannot demand ever more services on the other. (CNS): The work regarding the expansion of the country’s political representation has finally begun following the first meeting of the newly formed Electoral Boundary Commission (EBC) of the Cayman Islands. The members are now inviting submissions from the public about how the three new MLA seats will be added to the Legislative Assembly. The debate, however, has never been concluded over whether Cayman should switch to single member constituencies or continue with multiple representation and just add the three new seats to the larger existing district constituencies. There are a number of possible changes that could be made to the electoral districts but both sides of the House — UDP and PPM representatives — have been reluctant to commit to single member constituencies. However, the EBC will now begin composing a report on the options the country has to change the system, the future shape of electoral districts and how the new members can be added to the country’s voting landscape. According to a government release, once the report has been completed it will be submitted to the governor by the end of May. It will then be tabled in the Legislative Assembly, at which point the political debate about the country’s future representation will begin. The same release stated that the members of the ECB are inviting "public participation in the process of reviewing current electoral districts and creating new ones". 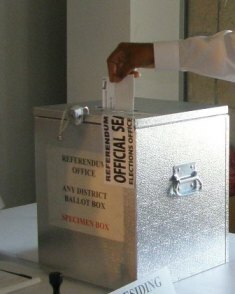 All registered voters and those who are qualified to be registered are being encouraged to give both written and oral submissions from now until Friday, 7 May. In keeping with the EBC’s approach of transparency, the commission prefers to receive signed submissions, but it will also accept anonymous contributions. Written submissions may be mailed to: The Electoral Boundary Commission, c/o Elections Office, P.O. Box 10120, Grand Cayman KY1 -1001, Cayman Islands. They may also be hand-delivered to the Elections Office on the 2nd floor at the Smith Road Centre, 150 Smith Road in George Town or emailed to electionsoffice@candw.ky. Oral submissions will require a person to make an appointment to meet with the commission and people can call the Elections Office at 949-8047. Following the adoption of the Cayman Islands Constitution 2009 last November, the EBC was formed in accordance with Section 88 of the document. 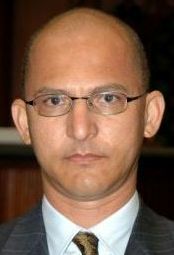 The Commission is chaired by Carl Dundas, with Norman Bodden and Adriannie Webb as members. (CNS): Despite the fact that the Auditor General’s Office has completed its latest report on the situation regarding government finances, Dan Duguay told CNS that he was unable to reveal its contents. 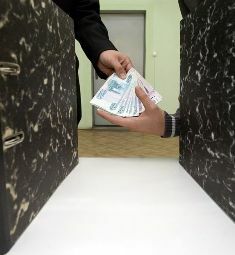 Although the auditor general confirmed that the latest edition of the State of Government Financial Accountability, first published in 2008, is being handed to the speaker of the Legislative Assembly today, he would not be able to release the report to the media on Friday as would be his usual practice. Duguay said the chair of the Public Accounts Committee (PAC) has now said that he must gives his OK before it can become a public document. 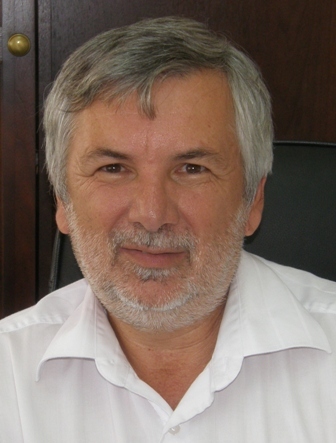 When CNS asked on Tuesday for an update on the status of the much anticipated report, Duguay confirmed that it was complete and that the report would be officially handed to the speaker on Wednesday morning 14 April, but he said he would not be holding a press briefing on Friday and that he was not able to discuss the findings. Duguay said his office had worked hard to get the document completed this month as a result of the findings of the Miller/Shaw report and government’s plans to bring the budget to the Legislative Assembly at the end of this month. The AG said he was very grateful to everyone, not just in his office but the Financial Secretary’s Office as well, for the urgency in submitting their comments on the report and helping to complete the document this week. However, the AG said it was frustrating that it could be several weeks before the content of the report is revealed to the public. Duguay said he could not reveal any of the details in the report but he said it offered a comprehensive update of core government accounts as well as all its statutory authorities and companies. He explained that the report highlights those entities that have made considerable progress since the 2008 edition but he noted that the report also reveals the details of those that have fallen even further behind. CNS contacted the chair of PAC, Ezzard Miller, who said that the rules had not been changed and that he was merely obeying the regulations agreed by Duguay and the former PAC chair during the previous administration, which+ he said he had discussed with the auditor general. Miller stated that this written agreement indicated that all members of the Legislative Assembly must have received the documents and he said it was necessary for them to sign to say they had received the AG’s reports before they could be public. Miller said there was no agreement to the time line so in order to know that members had their copies the PAC chair said they all had to sign for them so he could be certain the rules had been followed. He said he had made a commitment as chair of the PAC to revise the Standing Orders to remove the ambiguity of the time line concerning Duguay’s reports but government had not yet done anything regarding the suggestions. The PAC chair said there needed to be clarification on the situation about precisely when reports from the Auditor General’s Office could be circulated in the public domain. Most of Duguay’s reports are of particular public interest as they involve the scrutiny of how government funds are managed and spent. When the first report regarding government finances was published it revealed the shocking delinquency of government’s accounts and financial disarray. In the first report Duguay noted that, in effect, the Legislative Assembly had lost control of the public funds and over the time period he assessed billions of dollars had being spent by government without any accountability to the public, which contributes a significant amount government coffers through fees and duties. Since then, according to reports on News 27, Bodden has been told by UCCI she must finish her degree off campus. The president of the University, Roy Bodden, told News 27 that given the numerous incidents surrounding firearms in the community right now it was the right decision but provisions have been made for her to take her exams. Cassandra told the TV station that she was being treated like a criminal before the courts had decided her fate. CNS Note: Only comments on the general principles involved here will be allowed, not ones on this case in particular. 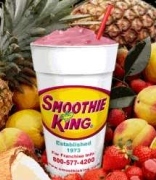 (PRNewswire): Smoothie King, the 1973 originator of the nutritional fruit smoothie, has reached an agreement with BW Ventures, LTD, to develop multiple stores in the Cayman Islands within the next few years. BW Ventures, LTD, operated by Barry Bodden and Gary Watler, plans to have their first location up and running in summer 2010. "In recent years, there has been a strong movement in the Cayman Islands toward healthy living," said Bodden. "We are confident that Caymanians, as well as the millions of annual tourists to the islands, will make Smoothie King highly successful here."